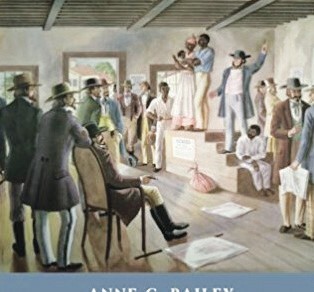 On March 2 and 3, 1859, the largest slave sale in recorded American history took place at the former Ten Broeck horse racecourse in west Savannah, Georgia. 429 men, women, boys and girls from the Butler plantations near Darien and St. Simons Island, Georgia, were transported to Savannah and sold. On the slave sale dates, it rained torrentially in Savannah, stopping only after the last enslaved person was sold. Families were torn apart and scattered throughout the south; many never saw each other again. African Americans call this traumatic event the “Weeping Time” because, seemingly, God must have been weeping at this horrendous event. 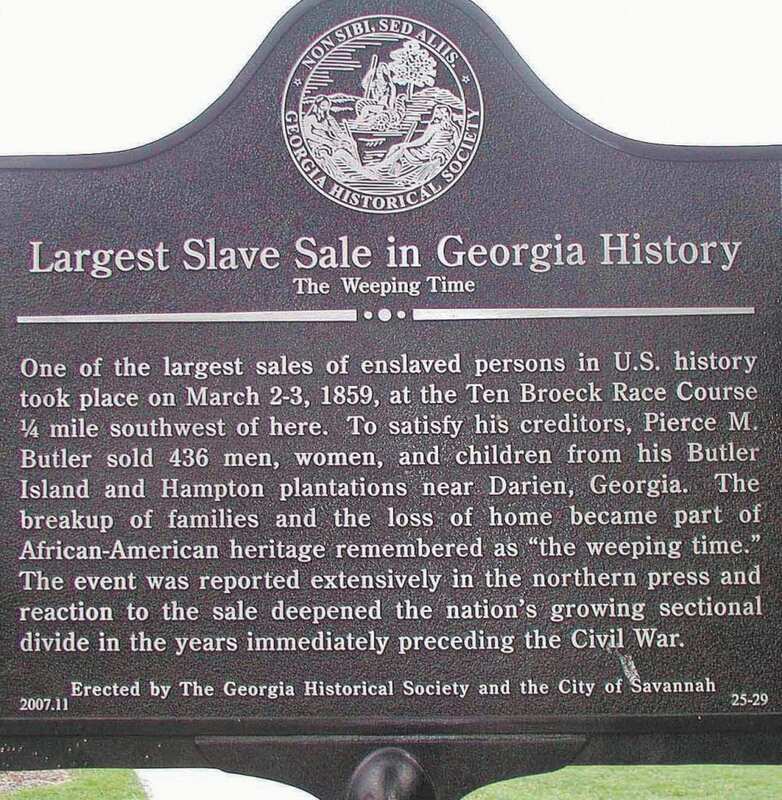 In 2008, 149 years after the “Weeping Time” slave sale, the city of Savannah and the Georgia Historical Society erected a Georgia Historical Marker a quarter of a mile from the actual slave sale site. On this coming March 2nd, 2018, on the 159th anniversary of the slave sale, please join us in honoring those who were sold. The goal is for 436 people to “stand in” for the 436 enslaved people who were listed to be sold at that auction, and the 429 actually sold. To commemorate the Weeping Time, on Friday, March 2, 2018 beginning at 9am a procession will travel from Brock Elementary School, 804 Stratford St. in West Savannah to the Georgia Historical Society Weeping Time Marker, Park bounded by Augusta Avenue, Brittany Street, and Dunn Street, West Savannah. The Presenters / Guides include: Dr. Kwesi DeGraft-Hanson, President, OCEANS, Inc. (KDH); Ms. Karen Wortham, Journey by Faith, Inc. (KW); Ms. Christy Crisp, Lynette Stoudt, Georgia Historical Society (CC/LS) Dr. Otis Johnson, former Mayor of Savannah (OJ); Ms. Selina Ruth-Gillans, Principal, Brock Elementary School (SRG) Dr. Griffin Lotson, Mayor Pro-tem, Darien (GL); Ms. Pamela Oglesby, Bernetta Lanier, Ivory Bay CDC (PO/BL); Ms. Jennifer Wright, Vice-Principal, Brock Elementary School (JW) Ms. Sharon Heidt, Teacher, Brock Elementary School (SH). The general public is invited. Please bring an umbrella, rain or shine, as the umbrellas are a symbolic representation of the individuals sold as well as the untold generations nested under them. The umbrellas also evoke the documented torrential rains that fell on the two slave sale days, stopping only after the last enslaved person had been sold.